While those lovely guys and girls on the PS4 are getting access to this today, those on Xbox don't have long to wait, so don't cry. The closed portion of the Xbox One beta kicks off tomorrow at 6pm (UK Time), with the open portion kicking off just two days later on the 21st. The beta will offer a bunch of things to have a look at (I will be doing this very thing in a video that will go up later tomorrow), with hopefully some of it being something of this thing called a story I've been hearing so much about. 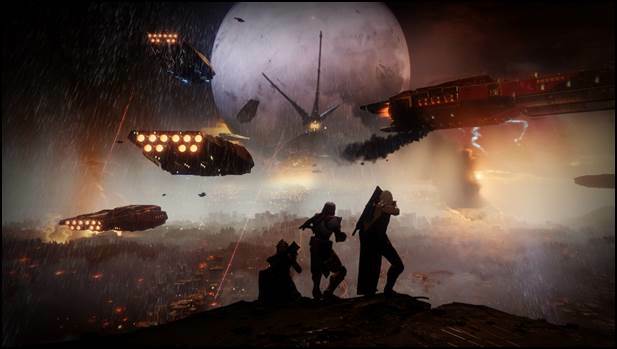 The beta will give players the chance at playing some campaign (Homecoming missions), a three-player cooperative Strike (Inverted Spire), and also two PVP Modes, with each mode having one a map for you to try out, with Both PVP Modes using the new 4v4 team format. Countdown (paired with Midtown): A new competitive mode where players spawn on either Offense or Defense, and when the round ends you swap sides and roles. The goal is to plant a bomb at the enemy base, and then defend it until it explodes. Each round is worth one point. First team to six wins. To revive a teammate, you must use a revive token. Power weapon ammo is only granted to the one player who pulls it. Working as a team is the key to victory. Map: Midtown is set within a curiously abandoned sector of the last safe city on Earth. 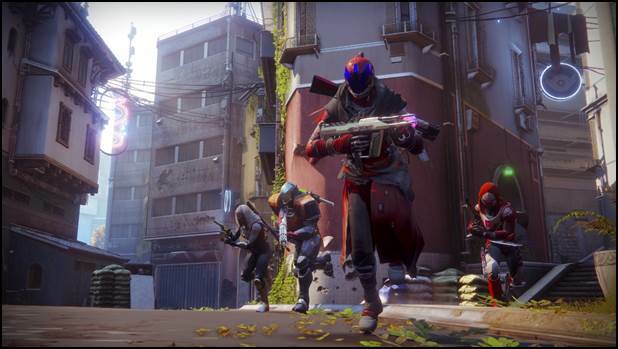 Lord Shaxx has selected it as a training ground for dangerous live fire exercises using captured Cabal ordinance. Control (paired with Endless Vale): A newly refined take on the competitive mode Control, where players must capture and defend zones to earn points while defeating their opponents to gain additional points. If all zones are captured, players will receive a power play to gain additional points per kill. Map: Endless Vale takes place on the new world, Nessus, a planetoid featuring soaring vistas, beautiful alien vegetation, and the hallmarks of the Vex effort to transform the planet into one of their machine worlds. Activision kindly sent an email pointing press in the direction of once upon a time Xbox Upload content person, Arekkz, who has been so kind to offer ten things you need to know before jumping into the beta. Great for those who are too lazy to read, and also for those too lazy to type and give you all this information. Be sure to check out Social media as myself and a bunch of others are throwing early play codes at you like some sort of pimp in return for follows and site views. I'm not proud of myself for doing such a thing, but we all win here (well those who get codes from me anyway, I can only love the rest of you). See you tomorrow evening when I will stream some of the closed beta for you.